"Re-Conceptualizing 'Object' Analysis Under Article 101 TFEU: Theoretical and Comparative Perspectives"
Abstract: Recent expansive applications of the ‘object’ prohibition under Article 101 TFEU have left the scope of ‘object’ restrictions in a state of uncertainty and incoherence. 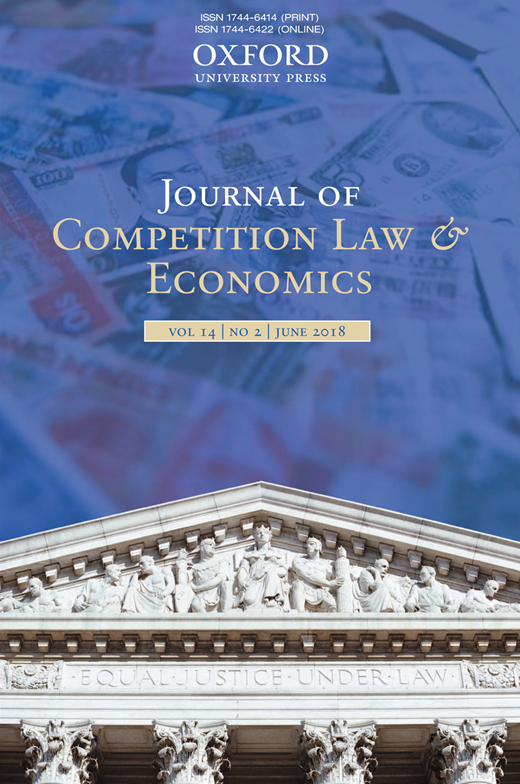 This article undertakes an unprecedented theoretical study of the ‘object’ test in comparison with US antitrust law. It re-conceptualizes ‘object’ analysis as a form of preliminary enquiry that serves a similar classificatory function as a US ‘quick look’ analysis, namely to distinguish naked restrictions from non-naked ones in order to determine whether summary condemnation or an effect-based analysis is called for. This normative theory rests on the important conceptual distinction between proximate and ultimate objects, and a detailed comparison of the methods of antitrust analysis under EU and US law. The article constructs a ‘quick look’ framework for ‘object’ analysis that combines both theoretical and comparative insights, and applies this framework to critically analyze joint venture restrictions, regulatory restrictions, vertical restrictions, and industry restructuring arrangements. This paper is nominated for the Concurrences Antitrust Writing Awards 2019 - you may read and vote for the article here.